The way teens stay connected has changed. Whether they're gaming, preparing food or creating their own music, teens enjoy opening up about their passions -- and others like to listen. 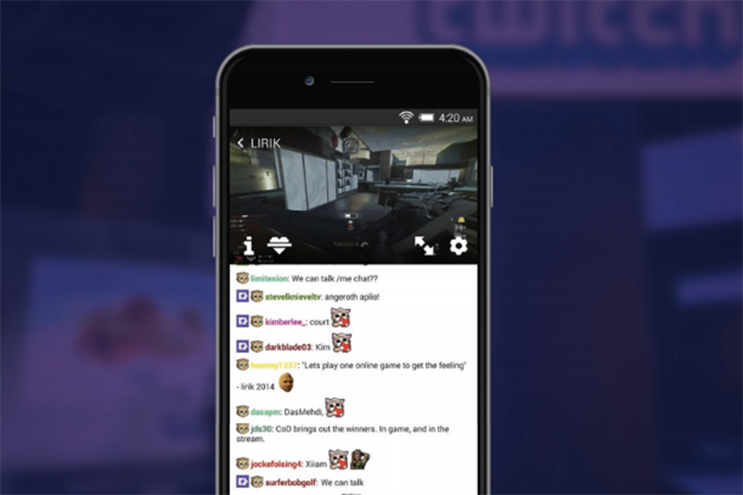 Twitch... a livestreaming and broadcasting community for video gaming and beyond. Emerging platforms like YouNow enable users to foster fandom while empowering individuals on both sides of the screen. These new connections allow teens to redefine their relationships with today’s brands and celebrities, all while maintaining a constant, captive audience. Today’s teens have grown up "on the record," with nearly everything they do archived, quantified, and tracked for life. Perhaps in response to how much millennials overshared during the early days of social media, this new generation is more self-conscious about how their image is perceived and perpetuated online. They now have a preference for more private forms of communication. It is not about Apple’s battle with the FBI or Edward Snowden’s exposure of the NSA. Comfortable in settings more akin to an out-of-the-way parking lot, teens seek out digital environments where they won’t be hassled. Old-school social networks including Facebook and Twitter are no longer destinations where kids can goof around without consequence—these forums have become public broadcast platforms, crowded with parents and brands, and associated with real-world identities. New messaging services offer more intimate forms of connection without the prying eyes—or the need for self-editing. Snapchat, one of the first to introduce self-destructing messages, continues to reign supreme. The app is constantly ushering in an ever-changing suite of new features, along with interfaces designed explicitly to perplex parents. Kik, another popular messaging app, preserves users’ anonymity while allowing them to chat with friends and strangers and explore the web. The service exists off the radar of most parents, despite 40% of US teens utilizing it. Where previous generations relied on sporadic updates through email or social media, Gen Z is constantly connected through always-on messaging apps that are always in hand. As a result, a new type of "persistent relationship" has emerged where the interval between message sent and message received is rapidly dwindling. Today, livestreaming apps like YouNow allow teens to broadcast themselves via live video to loyal audiences of friends and unknown fans. The user base is similar to Periscope’s, but skews much younger. Much of the content feels like bored kids just hanging out, shooting the breeze. More often than not, you’re likely to see someone sing a song, share their problems, or give out advice. And there is no pause button—videos just start playing, throwing viewers into one broadcast after another, in a never-ending feed. Usually, the broadcasters are talking directly to the camera, creating a raw, unedited perspective and a sense of closeness with the viewer. Comments really drive the experience. They can come fast and furious, so getting them seen by broadcasters is a real issue. A desire for personal recognition is now currency. YouNow viewers can spend real money to buy gold bars to tip broadcasters; stickers and animations; and even bolded or highlighted comments—enabling broad- casters to profit from their programming. While the platform does not sell advertising, broadcasters are free to work with brands through influencer campaigns. Twitch, the massively popular streaming service that skews heavily toward an e-sports audience, also lets its broadcasters profit. For more details about its model and platform, check out our interview on page 6 with Twitch’s Anthony Danzi, Senior Vice President of Client Strategy.